Join us on Thursday, May 30 for a magical evening dedicated to celebrating the transformational power of dance at the most mysterious place in Los Angeles, The Magic Castle. 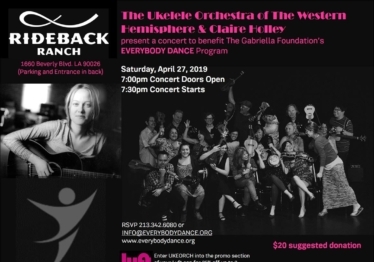 The Gabriella Foundation is proud to partner with The Ukelele Orchestra of the Western Hemisphere and Claire Holley to present a concert benefiting the students of The Gabriella Foundation’s Everybody Dance! Program! This event is graciously sponsored by Rideback. New Year/New Ideas: Revitalize your Spring teaching practice! 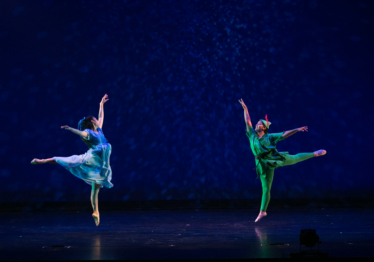 Join us for a lunchtime event to share tips, tools and resources for dancers, dance teachers, and teaching artists in dance. Includes lunch, mini-presentations, classroom demos and Q&A that will help you energize your career as a dance teaching artist. 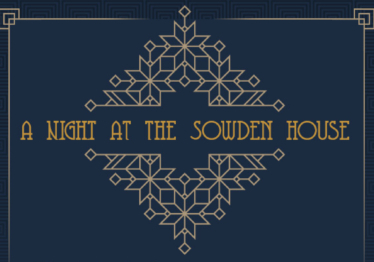 The Gabriella Foundation invites you to a one-of-a-kind evening at the legendary Sowden House in the Hollywood Hills.